Class & elegance in the Country. 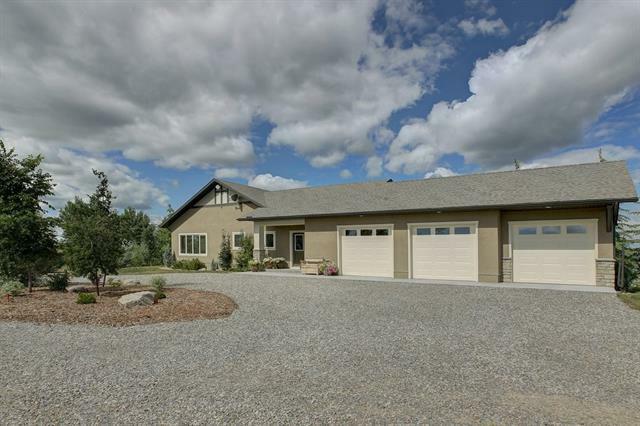 2.4 acres high up on a ledge SW of High River sits this 2445 sq ft beauty. 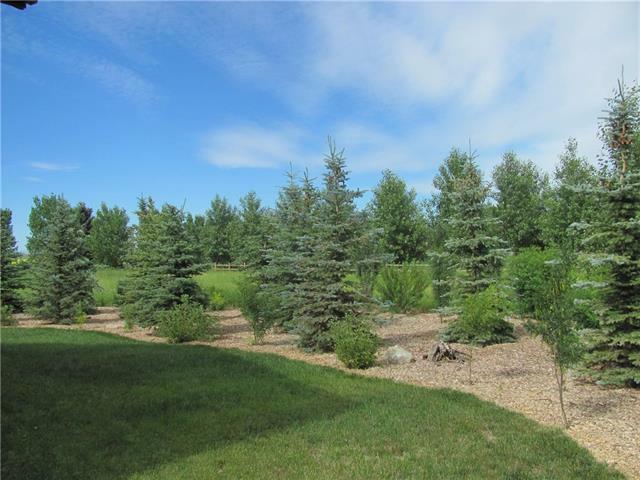 As you drive in, a mature, fully landscaped yard, surrounds you with the beauty of nature and privacy in a Cul-de-sac subdivision. Step into the bright wide open floor plan of this sprawling at grade bungalow, featuring quartz counter tops, stainless steel appliances, custom cabinetry and antique wood butcher block. Large windows shower sunlight throughout the Kitchen/Dining room flowing through the glass French doors to the cozy gas fireplace in a custom wall entertainment unit of the great room. While the kids run loose in the full unfinished basement, escape to the sound insulated Master suite, spa like ensuite, and naturally lit walk-in closet. 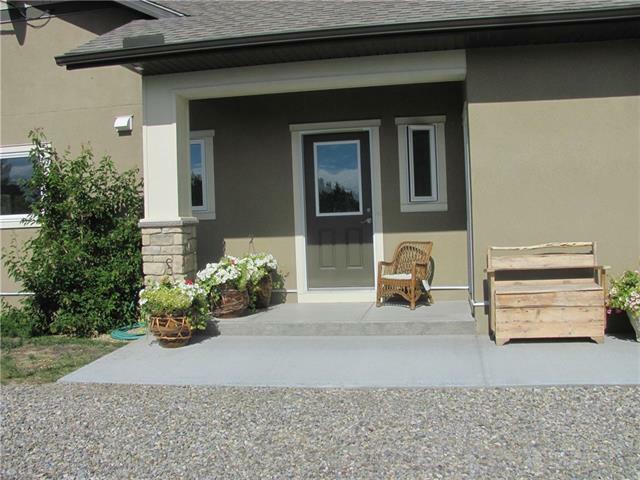 Main floor laundry, oversized triple garage, drip irrigation, wide stairway, secluded patio, no detail has been missed. 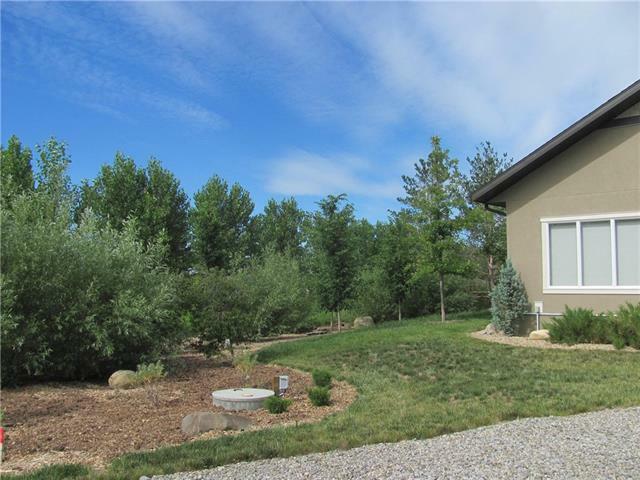 This property is immaculate & so well taken care of, just move in and enjoy the class and elegance of this premier country home.